Sometimes you need chocolate, and quickly. It’s a comfort food. Comfort is what I’ve been searching for lately, and slowly finding. It will come, but I wish more quickly than it is. I guess there are just some things you have to work through in your own head. It’s strange being here in the house alone. Henry always used to be just one head scratch away. I still see him out of the corner of my eye – on the sofa, in the hall, outside – sort of like he’s here still. I hope I do for a long time yet to come. He was a very, very good boy and constantly loyal friend. A dog that size (he was a 115 lb Bouvier) is like having your own live, oversized teddy bear, but with tons of kisses. He got plenty of hugs and kisses returned, believe me. I miss him terribly. But for now, cookies will have to do, albeit a very poor substitute. And far less hairy. I miss all that hair, even when found in my cookies. A manageable amount of batter. Not 3 dozen cookies. I made these a few nights ago. Once they were baked, I wished I had bought some Fluff (the whipped marshmallow stuff). They would have made exceptional whoopie pies. Of course, Nutella isn’t the most healthy of confections. I believe modified palm oil is the second ingredient. But it does taste of hazelnut, which gives these an interesting twist. People take their whoopie pies, and their provenance, seriously. Pennsylvania, Maine, and New Hampshire all claim to be the birthplace of the Whoopie pie. In 2011, the Maine State Legislature considered naming the whoopie pie the official state pie. The proposal received bipartisan support. L.D. 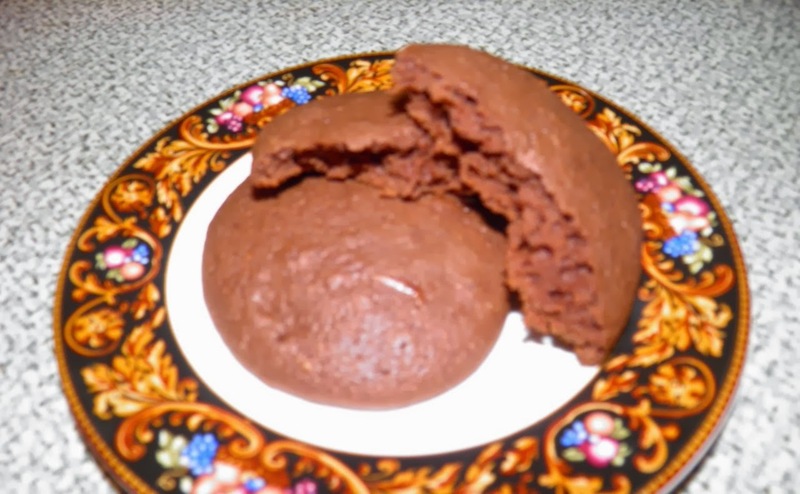 71, officially known as "An Act to Designate the Whoopie Pie as the State Dessert", read "The whoopie pie, a baked good made of two chocolate cakes with a creamy frosting between them, is the official state dessert". 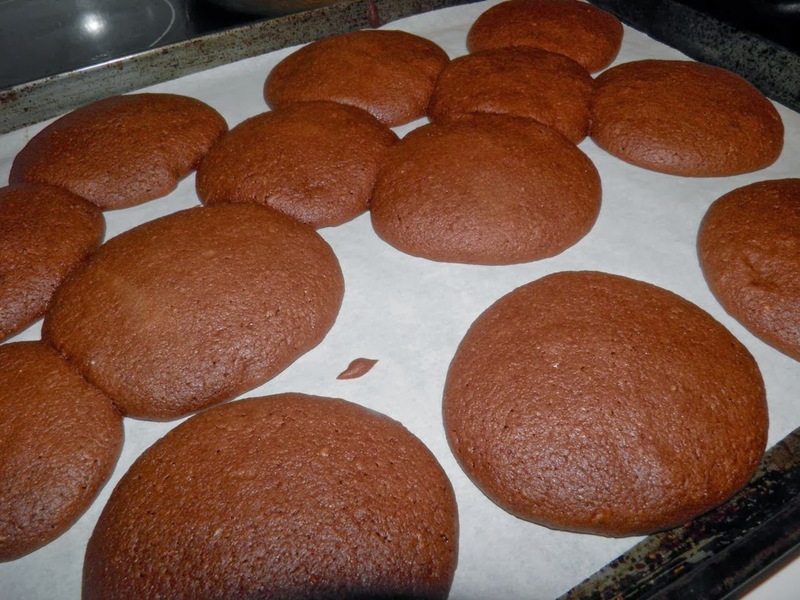 The Pennsylvania Dutch Convention & Visitors Bureau and other observers in Lancaster County, PA, note that the whoopie pie comes from the area's Amish and Pennsylvania German culture – origins that are unlikely to leave an official paper trail – and has been handed down through generations. Most likely, Amish groups that migrated to Maine brought the treat to the people of Maine. Mainers assert that Labadie's in Lewiston, Maine has been making the confectionery since 1925. 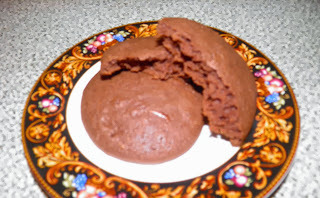 The now-defunct Berwick Cake Company of Roxbury, Massachusetts had been making the "Whoopee Pie" since 1931 and it is also claimed that the whoopie pie originated there in Massachusetts and spread both north and south. It appears though that German immigrants brought the predecessor of the Whoopie Pie to communities throughout the northeast. The Maine Legislature eventually decided to declare the whoopie pie the official state treat, and chose blueberry pie (made with wild Maine blueberries) as the official state dessert. So there you have it. These cookies went together in minutes, were easy to put on the cookie sheet (just one sheet), made a manageable amount, and baked without burning. What more can you ask. A perfect metaphor for my mood: slightly out of focus. Preheat the oven to 350°F. Line a cookie sheet with parchment paper (for ease of clean-up). 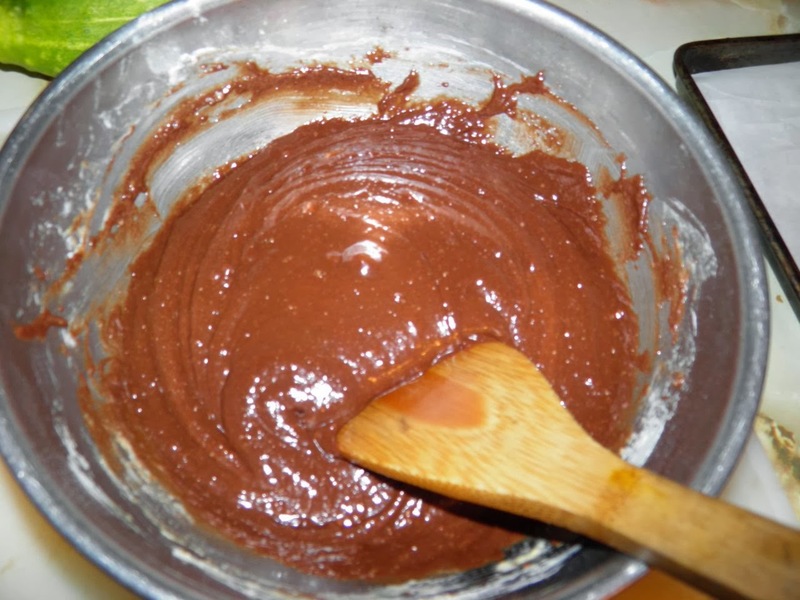 Combine the cookie ingredients together with a mixer. You have to make sure the Nutella is well mixed in. Drop by heaping tablespoons onto the sheet to make 16 cookies. Bake for 15 minutes. They will be puffed but not browned around the edges. Let cool slightly. If making whoopie pies, mix together the filling, spread evenly on 8 of the cookies, top with a second cookie and serve. Feel free to comment. They’re appreciated. I’ll answer quickly and as best as I can. If you like this post feel free to share it. If you repost, please give me credit and a link back to this site. Adventures in Hub City, Moncton! Thank you, Henry. I miss you.